Art's clever incorporation into advertising is an age old trick, (and vice versa thanks to Pop art), but what happens when artists appropriate each other? From Bacon and Velázquez, to Wall and Delacroix, writer Sebastian Roach uncovers how no artist is an island. The marketing guys at Ikea have earned themselves some kudos, and – of course – a lot of publicity - with a new series of ads in which the British photographer Tim Cole recreates three famous works of art. Understandably, perhaps, many people feel uneasy about the appropriation of fine art by base commerce, but as long as the artists whose work is being ‘paid homage’ are long dead, who’s really in a position to object? And if the appropriation/homage is well done (and in the case of Cole’s Nighthawks it would have to be said it is - spookily so) then why would you bother. And while it’s undeniable that there are living artists who have felt ill treated, not to say ripped off by the advertising industry, it also has to be acknowledged that it’s not a one way street, that artists too have appropriated images from the commercial realm. The most obvious example of course being Andy Warhol and, most famously, his Campbells soup cans. 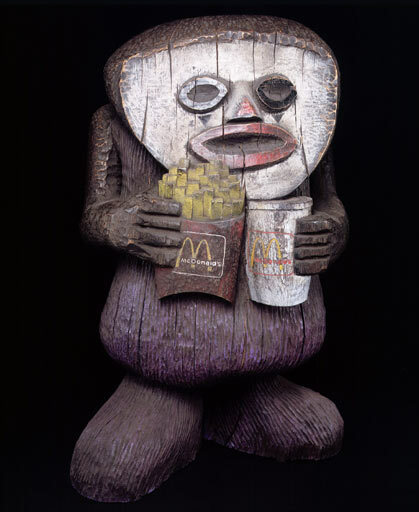 More recently YBAs Jake and Dinos Chapman have hijacked the marketing imagery of McDonalds for their Family Collection. The Chapman’s too, of course, are prime examples/suspects of that phenomenon far more common than either the appropriation of art by advertising or vice versa: the appropriation of one artist’s work by another (or two others in Jake and Dinos’ case…). Francesco Goya, had he been around to witness it, would have found himself serially both paid homage to and defaced by the former enfants terribles, and, had he objected, the brothers might reasonably have pointed to the 17 etchings of works by Velázquez he himself had made early in his career as a court artist, (one of which is itself later reproduced in the background of a portrait of Zola by Manet). 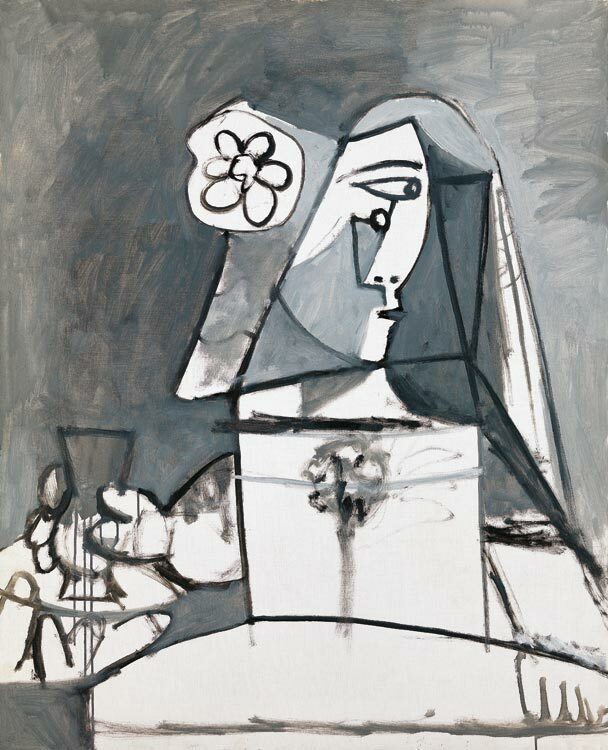 17 etchings, though, is as nothing compared to the 58 versions of Las Meninas by Velázquez done by Pablo Picasso. But in case one is tempted towards the belief that this might just be a case of Spanish art eating itself, consider the more than 20 years Francis Bacon spent reworking Velázquez’s Pope Innocent X. Which was itself closely modelled on Raphael’s Julius II (and so it goes on…). 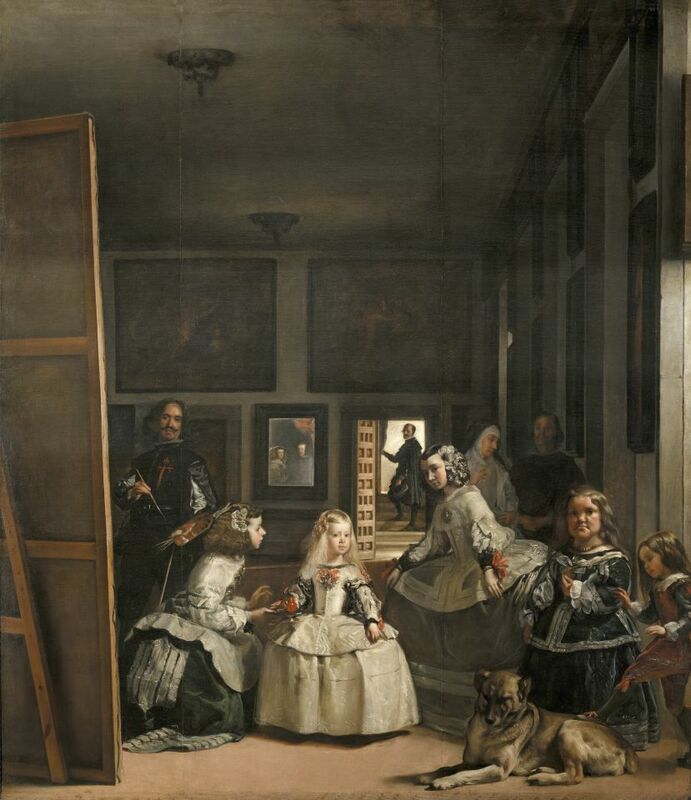 Velázquez, it turns out, must be one of the most homaged artists of all time, at least if the Wikipedia page for Picasso’s reworkings of Las Meninas is to be believed, listing as it does 26 other artists who have done versions of that painting alone. The list runs alphabetically from Bravo to Witkin and includes not only Goya but Dali, Degas, Hamilton, Singer Sergeant, Wall and Whistler. 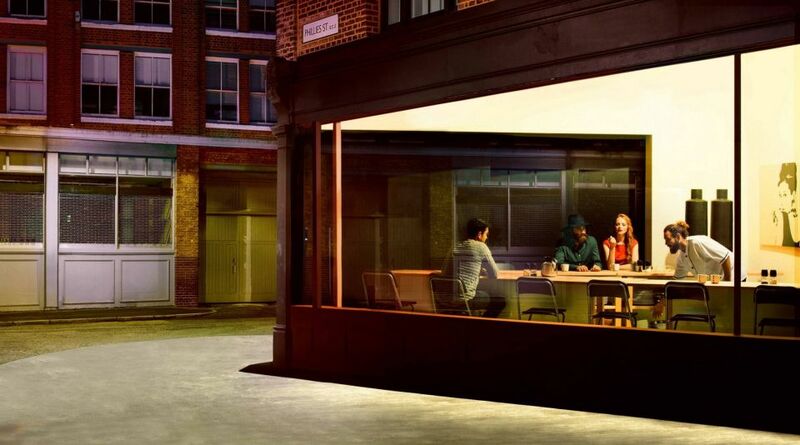 That said, the Jeff Wall piece – Picture for Women - at least is widely regarded (including I believe by the artist himself) as a reworking of Manet’s A Bar at the Folies-Bergère – itself generally regarded as a reworking of Las Meninas, although, oddly enough it doesn’t make the Wikipedia list. Manet, as well as being a fan of Goya, was - probably not unconnectedly - greatly influenced by Velázquez, and also got ‘done’ by Picasso, who surpassed his own 58 versions of Las Meninas, with 27 paintings, 140 drawings, 3 linogravures and cardboard maquettes for sculptures based on Dejeuner Sur L’Herbe. Neither was Manet the only painter re-made by Wall, whose The Destroyed Room is based on Delacroix’s The Death of Sardanapalus, which also serves as the source for rather younger British artist Tom Hunter, whose work also includes remakes of (most famously, perhaps) Vermeer, and, obviously, Velázquez. In its stillness and gently but strikingly lit melancholy, Hunter’s work often recalls that of Edward Hopper, who has often been used as a source for painters, photographers and now, of course, Ikea. The final word, however, on the subject of artists work being appropriated by others must go to actor turned model/poet/artist/all round Renaissance man, James Franco or, rather, to Cindy Sherman for her appreciation of his homage. From Kurt Schwitters’ Merz works and Andy Warhol’s soup cans, using familiar or popular imagery and representing is nothing new - but where does the line between homage and plagiarism end? Article: The multiplication of being, or a reflective abyss? Blog: Tate Debate: When is appropriation homage and when is it plagiarism?